By all accounts, the economy is humming along. GDP growth has been positive, with unemployment being at historic lows-and even the labor force participation rate is getting closer to its pre-recession level. 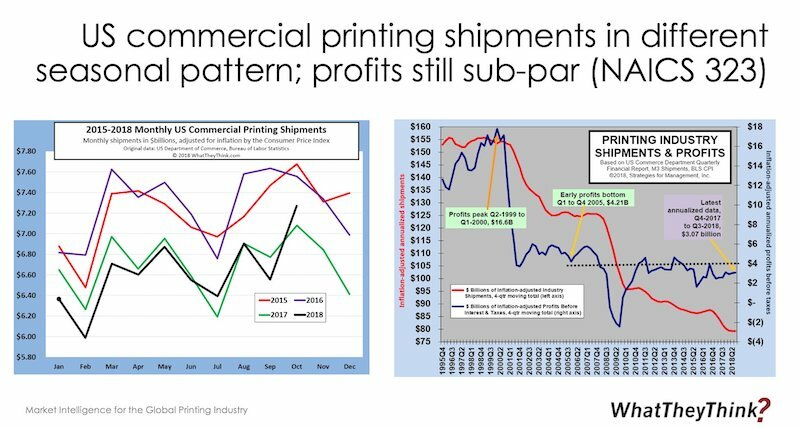 As for the printing industry, shipments have been good and bad throughout 2018, but the overall trend is that the industry is losing whatever seasonality it once had.